Any toddler or young child is sure to love these bright caterpillar slip-on shoes. They are available in a range of sizes and five color combinations. Choose from pinks, greens, blues, and yellows. 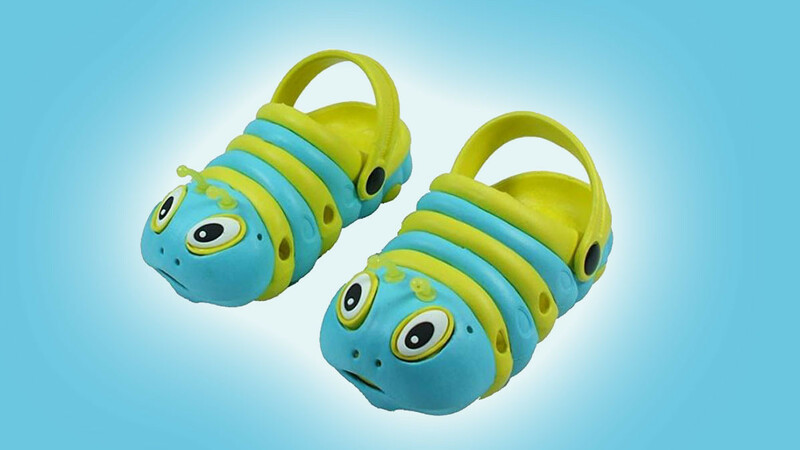 These are so much fun that your child will want to wear them every day. A great choice for trips to the park or the beach because they are waterproof and very easy to clean. If you are looking for a gift for a little one then these are sure to please the child and the parents. Children grow so quickly that really can never have too many shoes!